Develop a team to help with your estate planning objectives. This page offers introductions to topics instead of specific documents that arise during our estate planning sessions. If you have a question about a topic not listed below, contact us via email or phone. Guardians for Children. Without a last will & a testament appointing guardians, a court will be left to choose guardians for dependent children using whatever information they have available. A last will & testament is essential for parents wanting input on their children's guardians. Adding a trust can help separate the responsibilities of guardians and those managing the children's money. Controlling Distributions. Young beneficiaries may make ill-advised decisions when receiving lump sums of money from life insurance or proceeds from the sale of a house, hence it may be desireable to control distributions. A will alone cannot control how and when money is received by beneficiaries. However, a trust can hold money until a predetermined age while allowing partial distributions prior to that designated age for reasonable health, support, maintenance and education needs. Trustees appointed by you determine what is reasonable. Maintaining a Residence. A trust can create a life estate by continuing to pay your mortgage, tax and utility costs until your children finish school, at which point they and their guardians vacate the home and the home is sold. For blended families, if the deceased spouse owned the primary residence, a trust may allow the surviving spouse to continue living in the home before being distributed to the deceased owner's heirs. Special Needs Provisions. 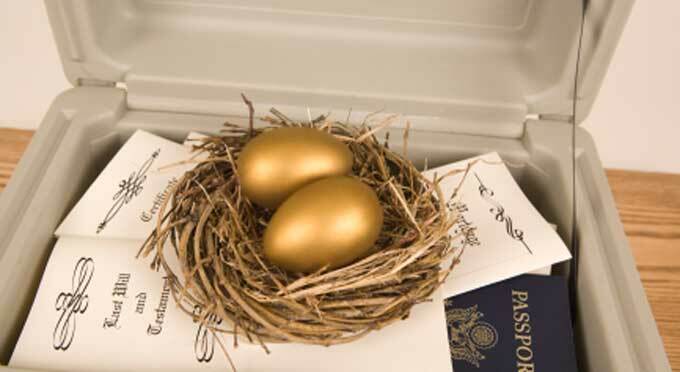 Beneficiaries receiving disability income may lose eligibility if they receive an inheritance. An inheritance can legally be held in a trust until needed to prevent a disruption government assistance. Avoiding Probate. Some assets already avoid probate: life insurance, retirement accounts and other assets listing living beneficiaries. In Arizona $75,000 of real estate or $75,000 of other assets combined can trigger probate. Actual costs associated with probate courts are relatively inexpensive. But the process, according to studies in Arizona, can delay transfer of the estate by 6 to 18 months. In addition, costs can increase quickly if legal help is needed or the estate is contested. No Contest Clauses. Contested last will & testaments can freeze an estate, unlike living trusts containing No Contest Clauses which revoke inheritances from people contesting your estate. Minimizing Taxes. In 2015, individuals who pass with less than $5.43 million in net estate value or married couples who pass with less than $10.86 million in net estate value should have no estate taxes due. Arizona does not have its own estate tax. Living trusts do not affect your affect income taxes while you are living. Providing for Pets. Food and vet visits can become costly over time. A trust can set aside any amount, such as $5,000 - $10,000 to reimburse the person who is kindly taking care of your pets. Any amounts left after your pets have passed can be returned to the estate or given to a charity. Charitable Donations. Estate planning is an opportunity to help a favorite cause. For larger estates, charitable giving can also be a method to reduce the size of an estate subject to the estate tax.